The pressure transmitter series HDA 7400 combines excellent technical specifications with a highly compact design. 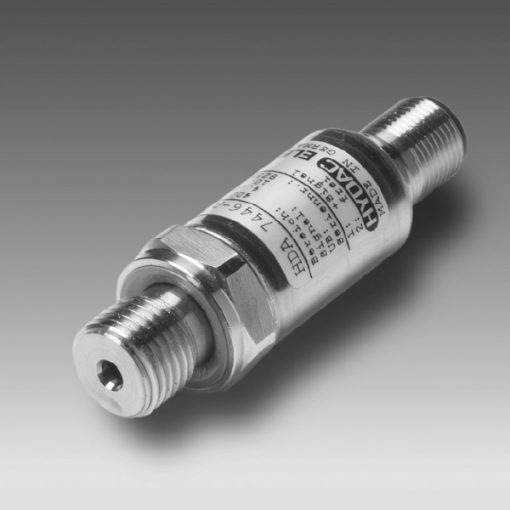 Indeed, a stainless steel sensor cell with thin-film strain gauge is the basis for this robust, long-life pressure transmitter. What’s more, the various pressure ranges between 0 .. 40 bar and 0 .. 600 bar provide versatility when adapting to particular applications. Therefore, it is possible to integrate it into modern controls (e.g with PLC). Indeed, this is thanks to the standard analogue output signals available. Moreover, the HDA 7400 serves for OEM applications e.g. in mobile applications.